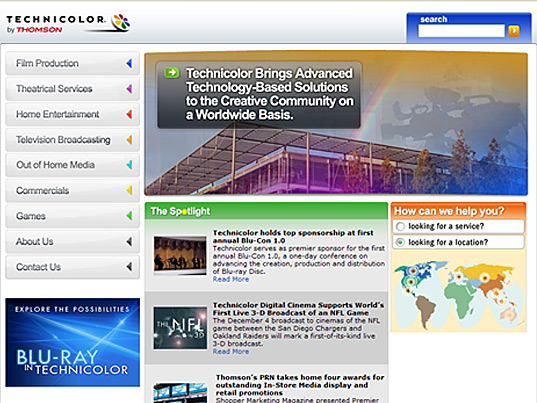 Technicolor hired Imagistic to design a contemporary site that would highlight some of their "little-known" services, simplify their content management system, and allow their visitors fewer clicks to their sales contacts. Imagistic delivered a Business Technology plan for a modern, easy-to-navigate site built on Microsoft’s Content Management Server. A driving factor for the new site was to highlight services that were not as well-known as others and to improved the usability of their content management system. Technicolor is a world class research and innovation laboratory leading the market in delivering advanced video services to content creators and distributors. 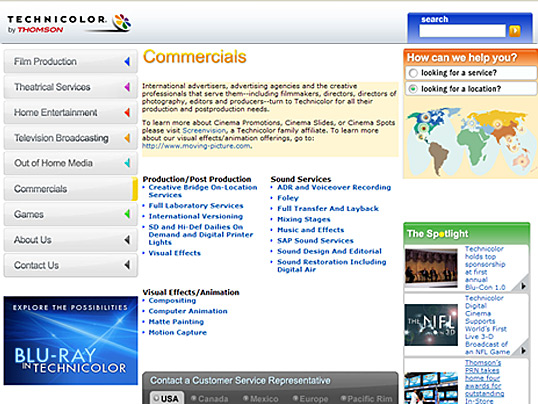 Technicolor also benefits from an extensive intellectual property portfolio focused on imaging and sound technologies.